Welcome to C# Tutorial It is a free online C# Tutorial in which you will get great number of C# programs and definitions in easiest way. Our experts have tried to keep program complete and easy to understand so you can copy the program and run them on your own way. C# (pronounced C Sharp) is new technology that is much powerful and easy to learn. It consists of thousands of prebuilt classes and interfaces that lets programmer to write powerful code in very less time. If you are beginners then don’t worry and just start with very first lesson and do exercises regularly. I promise you to in very short time you will be able to write complex programming module without getting help of any third party resources. 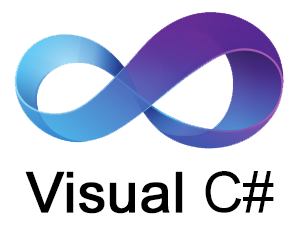 To run C# code, Visual Studio is the best editor. Either you can choose console based application to run program directly or you can write program on notepad and then run them on visual studio command prompt. This online C# programming guide will help you to be a C# expert in next few days. So, let’s starts with your first basic session.